More than a decade ago, David Loertscher introduced the concept of collection mapping in two different books mostly to the audience of school librarians of the time. It received some attention at that time because it contained a simple method of dividing the collection into various segments that became a part of a visual representation of collection strengths and weaknesses. Much has happened in the last decade that has put into major question what it is libraries should own and what it should provide access to across a wide spectrum of information and for what types of devices. 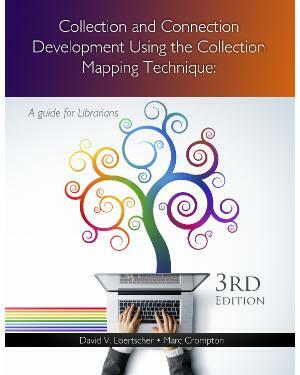 For this new revision of the collection mapping idea, Laura Wimberley and Marc Crompton has added their expertise and together the authors have designed a book that would be useful to all types of libraries. It's object is to take into consideration many of the traditional ideas of collection development that still make sense, but also to push the envelope in the idea of collection development. This book has been designed to use as a textbook for beginning practitioners, and also for experienced collection developers who want to challenge their traditional practices. We believe this is critical in an era where many patrons consider the Google search as their own definitive free access to the world of information. For this new edition, the authors have added many fresh examples, infographics, and other tips to budding collection developers and those who wish to re-think the entire system.